More so than ever injectable drugs are administered using devices like pre-filled syringes, auto-injectors, and pen-injectors. Patient-centricity is driving the future of the injectable drug delivery market whether it’s through more self-administration, connectivity, or even wearable devices. Yet with so many developments and innovations, regulation remains at the forefront of the industry and all those involved must comply. 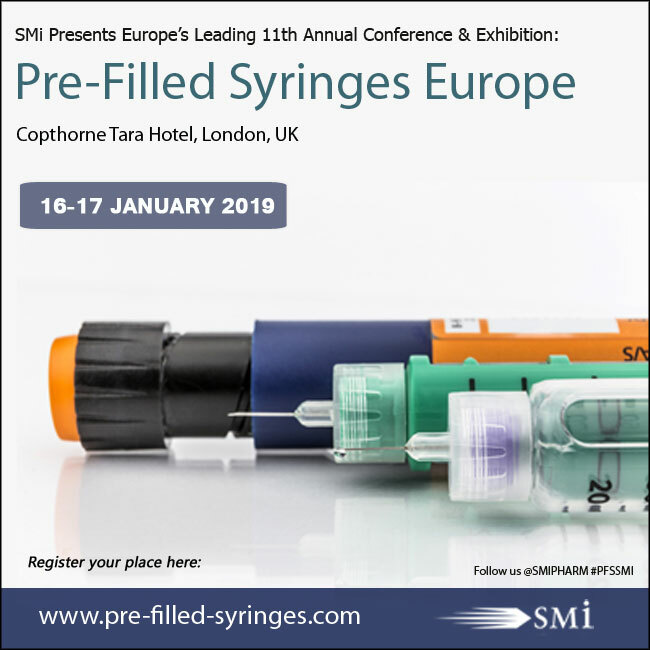 SMi’s 11th annual Pre-Filled Syringes & Injectable Drug Devices Europe conference and exhibition will take place on 16th & 17th January 2019 at the Copthorne Tara Hotel, Kensington, London UK. Fruh, Harro Hoefliger, Mitsubishi Gas Chemical, Nemera, Nelson labs, Owen mumford, PHC Corporation, Schott, Zeon, Zwick Testing Machines.